How to use the embeddable shopping cart? With this feature, you can keep your customers on your site throughout the purchasing process. Embed the shopping cart directly onto your site to let your customers purchase multiple products in one go. Note: the shopping cart will only function with the products you've embedded from Sellfy.com to your site. It's not compatible with other services, and can't be used on its own. 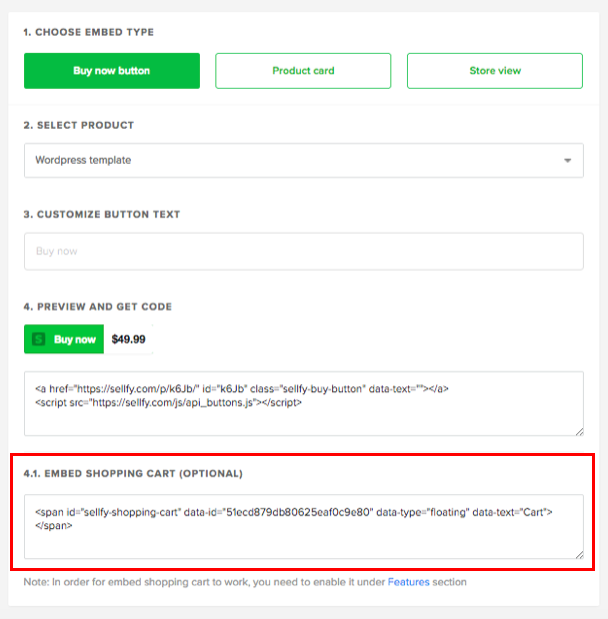 Scroll down and copy the generated code from the 'Embed Shopping Cart' window (the code will be the same for all products). Insert the code in the HTML editor on your site. data-id="[YOUR-ID]" represents your user ID that's vital for the cart to function. Make sure to copy this part of the code as-is. data-type can be either floating or inline. It basically determines the position of the button on your site. floating is the default option, it will place the cart button at the top right corner of the page with a 20px x 20px margin from the sides and will always scroll along. 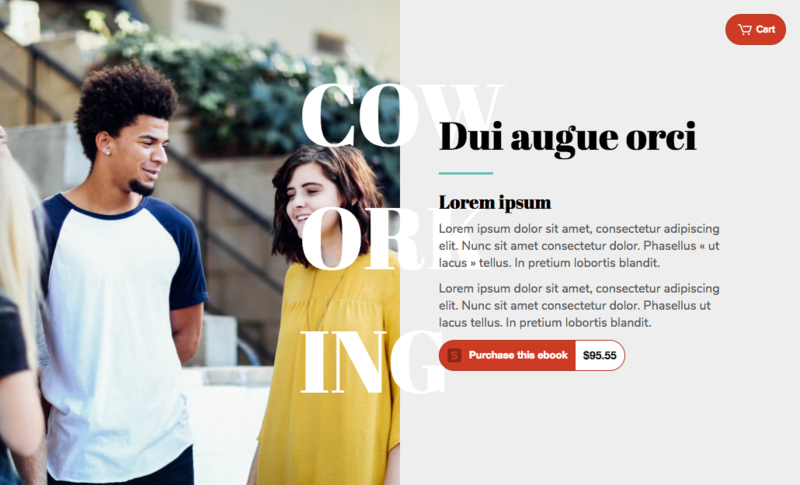 Setting it to inline will make it appear wherever you place it on your page. 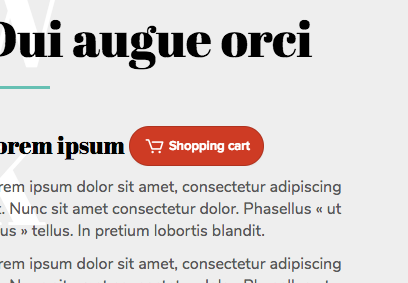 data-text tag allows you to add custom text to your shopping cart button. We recommend one to three words maximum, but it's totally up to you. The default in this bit of code is set to Cart, but you may change it to Shopping Cart or other titles.